Little John – History… the interesting bits! 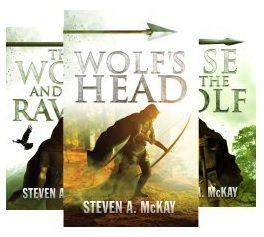 Steven A. McKay‘s The Forest Lord series of books is a wonderful, refreshing new take in the Robin Hood Legend. All the usual heroes are there, including Little John, Friar Tuck, Will Scarlet and Maid Marian, battling against their old enemies, the Sheriff of Nottingham and the despicable Sir Guy of Gisbourne. However, what has changed is the time and location. Instead of the wilds of Sherwood Forest, The Forest Lord books are set in Barnsdale Forest in what is now West Yorkshire, while young Robin’s family lives in the nearby village of Wakefield. Gone also is the vile Prince John – and you won’t see King Richard the Lionheart either. 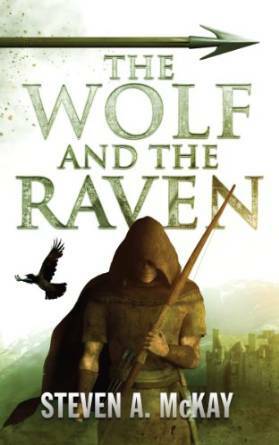 The story is set in the time of Edward II, the rebellion of his cousin, Thomas of Lancaster providing the back-story to the first book; while the aftermath of Thomas’s defeat at the Battle of Boroughbridge is still being felt in the second book, The Wolf and the Raven, as the surviving rebels are hunted down. 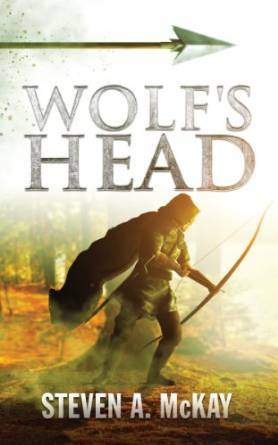 Wolf’s Head introduces you Robin as a newly outlawed teenager, finding refuge in a gang of outlaws in Barnsdale Forest. We follow Robin as the youth learns how to fight, how to deal with loss and how to lead men, while making mistakes and enemies along the way. As Robin and his companions, including a grieving Templar and his sergeant, become embroiled in the rebellion; they must find a way through the politics and the fighting to survive. In The Wolf and the Raven, in the aftermath of a violent rebellion Robin Hood and his men must fight for survival with an enemy deadlier than any they’ve faced before. Sir Guy of Gisbourne, the king’s own bounty hunter, stalks the greenwood, bringing bloody justice to the outlaws and rebels who hide there. While new friends, shattered loyalties, and a hate-fuelled hunter that threatens to wipe out not only Robin’s companions but his entire family all play a part in the Rise of the Wolf. 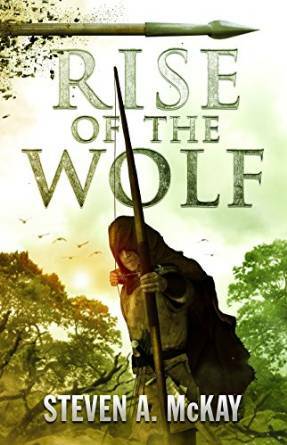 Steven A. McKay has woven together a wonderful story of love, war, loyalty, hatred and a fight for survival set in one of the greatest periods of greed and unrest in English history. As a Yorkshire lass I can testify to the veracity of the author’s vivid depiction of the county and its people; although the landscape may have changed in 700 years, the Yorkshire spirit hasn’t. The stories combine the fight for survival with the camaraderie of men who trust their lives to each other. There are tender moments, when Robin’s men put Marian’s freedom above their own desire for release from outlawry. There are moments of humour; such as when, in a bizarre twist, Edward II asks Robin and Little John to join his rowing team. And there are ‘yucky’ moments involving a castle toilet …. but I will not give away any more spoilers and ruin your enjoyment of a great story. The characters are wonderfully vivid. While Robin is young and vulnerable, but develops into a strong, considerate leader, his nemesis Sir Guy of Gisbourne is suitably despicable and only gets worse. I have to say I like the Sheriff of Nottingham a little more than I have done in past depictions; the poor chap seems to have as many troubles on the right side of the law, as Robin has on the wrong side of it. Steven A. McKay has taken the Robin Hood legend expanded and enhanced it and made it his own. In case you were wondering, the traditional Robin Hood is still alive throughout the books, rescuing children and damsels and stealing from the rich; teaching them a lesson on the way. The action is thrilling and you find yourself on the edge of your seat – or reading until the early hours – just hoping for it all to turn out right for our brave hero. With the final instalment of the story still to come, the stage is set for one exciting, final fight for survival and victory in the green woods. Will the boys finally get their one, over-riding desire – the chance to go home to their families and live as normal men? Will they all come through it alive? And does Gisbourne finally get his comeuppance?